This particular training programme is web based. The lesson files may be printed, but at present they are not available for download. 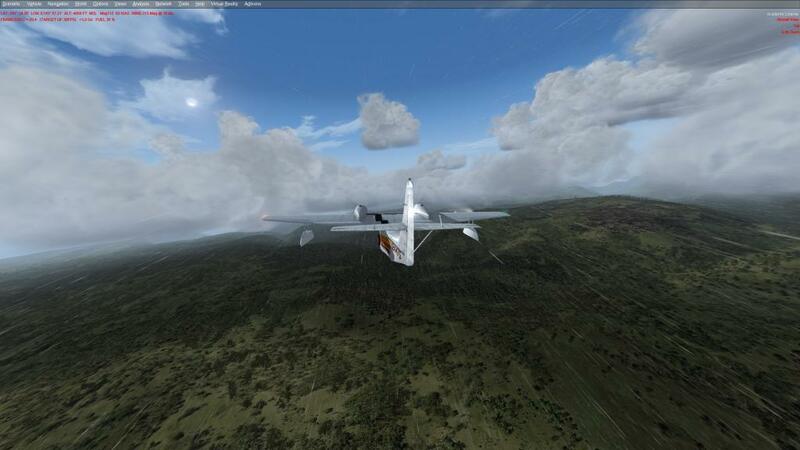 The structure is based on flying with VATSIM, but the tutorials apply in a similar way to IVAO. It is really only the Pilot Client software which differs. VATSIM stands for Virtual Air Traffic (Control) Simulator. Using one of two freeware software applications, and an internet connection, you connect to a network of servers around the world. You are then also connected to sometimes well over 100 other pilots all flying Flight Simulators on line, and at least half as many virtual Air Traffic Controllers. This series of lessons shows you how to take part in this hobby, a hobby only possible in the age of the Internet. Lesson 1 introduces you to the system and the software, and gets you talking to Air Traffic Control. This series of tutorials and practical flying exercises prepared by CIX VFR Club will introduce members to online ATC and to enable them to learn at their own pace how to use it. Each lesson consists of a Groundschool section on aviation law and theory, and a Practical exercise to fly using the information in the Groundschool. Lesson 2 teaches you the basics about Air Traffic Control at the UK's smaller airfields. This lesson describes procedures at Airports - those larger aerodromes which have a mix of light aircraft and commercial passenger and cargo traffic. Invariably, Airports have a full ATC service and may also (but not necessarily) have a large area of controlled airspace surrounding them, such as Heathrow, Manchester or Liverpool. In this lesson, you plan a flight from Gloucestershire Airport south west to the Severn Bridges and back. All the different aspects of planning a VFR flight are covered except weather which is dealt with later. You have planned a flight from Gloucestershire to the Severn Bridges and back. Now it's time to fly it. Depart from Gloucestershire on a Tuesday evening, when the ATCO is on duty and fly the route you planned in the previous lesson. his time you plan the flight and fly from Wolverhampton to Gloucestershire and "land away" as it is called. The descriptions in this lesson are comprehensive, "hand holding" if you like, so that by the time you have read through the document, you will be able to fly the detail without any difficulty. We move to a slightly more exciting environment. For this lesson, you will fly from Biggin Hill to Stapleford, north of the Thames "have lunch" and fly back again. Flying beneath Class A airspace, and close to Gatwick, London City, Luton and Stansted, this is a flight where you need to keep your wits about you. The procedures are a little stricter and the level of traffic (and the size of aircraft) is a little more awesome. It isn't London Gatwick or Manchester, but Liverpool because it is a little less awesome than the others. The flight you will make will be from Sleap near the small Shropshire town of Wem, to Liverpool. It is only a short trip - just over 30 minutes, but long enough to practice the techniques needed to fly successfully in controlled airspace. Return to Sleap from Liverpool where you landed in the previous lesson. However, it isn't quite a simple reverse of the last flight as you will find out. The main difference is that you need to learn and practice the procedure for departing from a major airport which is different from that for smaller airfields.